There is no denying the fact that the Pixel 3 and Pixel 3 XL were the most leaked devices of this year. It all started a couple of months back, and we got to know everything about the phones, from the design to the specifications and the unique features. Google did try to trick us by teasers, and some rumors even suggested that all the previous leaks were fake. But today, Google Pixel 3 and Pixel 3 XL were officially announced at the event in New York and here’s all you need to about Google’s newest flagships. Ok, so we all already knew how the phones look like, right? Well, as mentioned above, all the previous leaks were true and yes, the bigger Google Pixel 3 XL has that weird notch on top which a lot are calling as the ‘Bathtub notch.’ We have seen big notches like the one on iPhone X to the small waterdrop notches, but the one on Pixel 3 XL makes the front looks weird, especially with that chin on the bottom. Anyways, talking about the smaller Pixel 3, it has a design similar to the last year’s Pixel 2 XL. So, there is an 18:9 screen with rounded corners and minimal side bezels. There are dual front-firing speakers on both the phones and according to Google, they are 40% louder than the ones on Pixel 2 and Pixel 2 XL. The button placement is the same, and the power button once again gets a unique paint job. Talking about the rear, it is the same as last year’s Pixel 2 and Pixel 2 XL. So, there is a single camera on the back with the LED flash, and below that is the fingerprint scanner. For the first time, the Pixel 3 and Pixel 3 XL have a glass back which means support for Wireless charging. But, to give a better feel in the hands, the back has the same soft finish as last year’s Pixel 2 and 2 XL. And yes, the two-tone design is still the same. With the last year’s Pixel 2 and 2 XL, we saw the omission of the beloved 3.5mm headphone jack and so, we didn’t expect one on the Pixel 3 and 3 XL. There is only a USB Type-C Port for charging as well as for plugging the wired headphones. Ok, that’s enough about the design. Now, let’s talk about the specifications of the Google Pixel 3 and Pixel 3 XL. The smaller Pixel 3 has a 5.5-inch Full-HD+ OLED display with a resolution of 2160 x 1080 pixels with 443 PPI pixel density and the Corning Gorilla Glass 5 protection on top. The display has an impressive super contrast ratio of 100,000:1. The Pixel 3 XL, on the other hand, has a 6.3-inch Full-HD+ OLED display with 523 PPI pixel density and Gorilla Glass 5 protection. The aspect ratio is 18.5:9 and the contrast ratio remains the same as Pixel 3. According to DisplayMate (they recently announced that iPhone XS Max has the best display), the Pixel 3 XL has the best display on any smartphone till date. Both the Pixel 3 and Pixel 3 XL’s displays have HDR support, Always ON functionality, Now Playing, and True Black level. Let’s talk about the thing that made the last year’s Pixel 2 and Pixel 2 XL so unique. The Google Pixel 3 and Pixel 3 XL have a single camera on the rear, and it is the same 12.2MP sensor with 1.4 μm pixels, dual-pixel AF + Phase Detection, Optical + Electronic Image Stabilization, Spectral + Flicker sensor, f/1.8 aperture and a 76-degree Field of View. The rear camera can shoot 4K videos at 30fps and 1080p videos at up to 120fps. Google didn’t add dual cameras on the back this year, but on the front, there are two cameras this time. 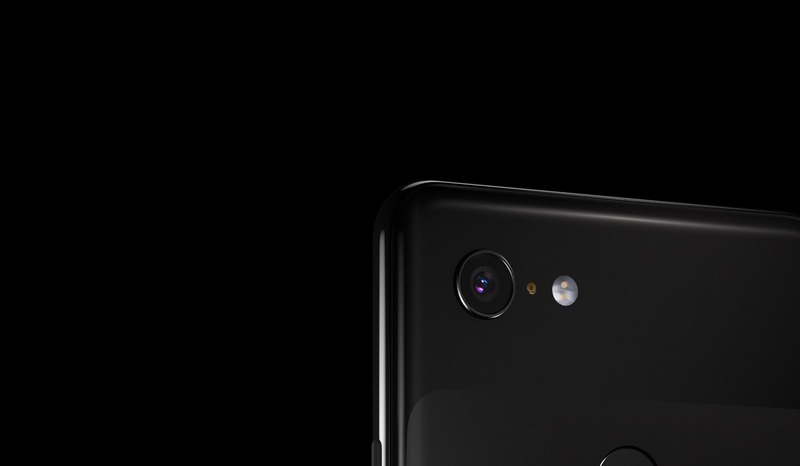 So, the Pixel 3 and Pixel 3 XL have a primary 8MP wide-angle camera with f/2.2 aperture and 107-degree Field Of View + 8MP Telephoto camera with f/1.8 aperture. Google talked about a feature called ‘Top Shot’ at the event. It is a feature that takes multiple photos and automatically suggests the one that is the best, i.e., without any issues like eye blinking or hair falling on your face (You got the idea, right?). Thanks to the wide-angle camera on the front, the Pixel 3 and Pixel 3 XL can shoot some really wide angle shots so taking group selfies now became even better. Then, there is the Google Lens integration in the camera itself. You can point the camera towards anything, and Google Lens will identify if it is a Landmark, any plant, any animal or any object and show results relevant to it. The night sight feature lets you take amazing photos in low light without the need of using the LED Flash. The camera on the Pixel 3 and Pixel 3 XL have a feature called Super Res Zoom. So, you can now zoom into the image without the loss of sharpness and details. Finally, there are new AR Stickers that are now called Playground. 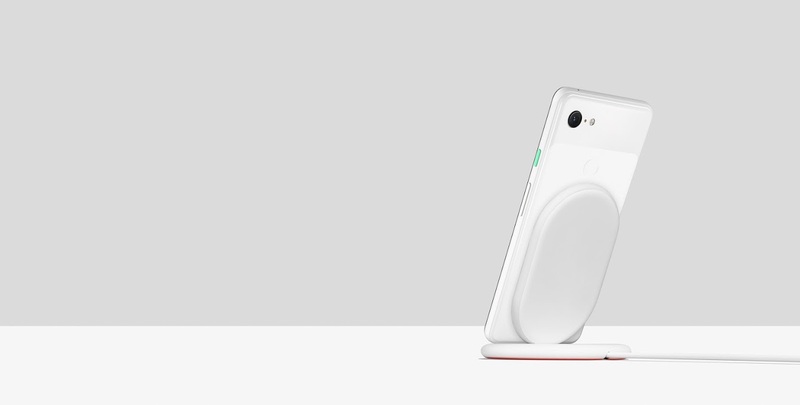 Coming to the performance, the Google Pixel 3 and Pixel 3 XL are powered by the 2.5GHz Qualcomm Snapdragon 845 processor along with the Adreno 630 GPU. Just like last year, there is a dedicated Pixel Visual Core chip for the image processing. This time, there is also Titan M security module which is a security chip that helps secure all your passwords and the OS. Unlike last year, this year’s Pixel 3 and Pixel 3 XL come with only 4GB RAM and 64/128GB ROM. So, there is no 6GB RAM variant like last year. The smaller Pixel 3 has a 2,915mAh battery while the bigger one has a 3,430mAh battery. Both the phones support 18W Fast Charging as well as Qi Wireless Charging. The Pixel stand can charge both the phones wirelessly at 10W, which is awesome. Other features include Active Edge, Bluetooth 5.0, NFC, Dual Front Firing Speakers, Android 9 Pie, and Google Assistant.